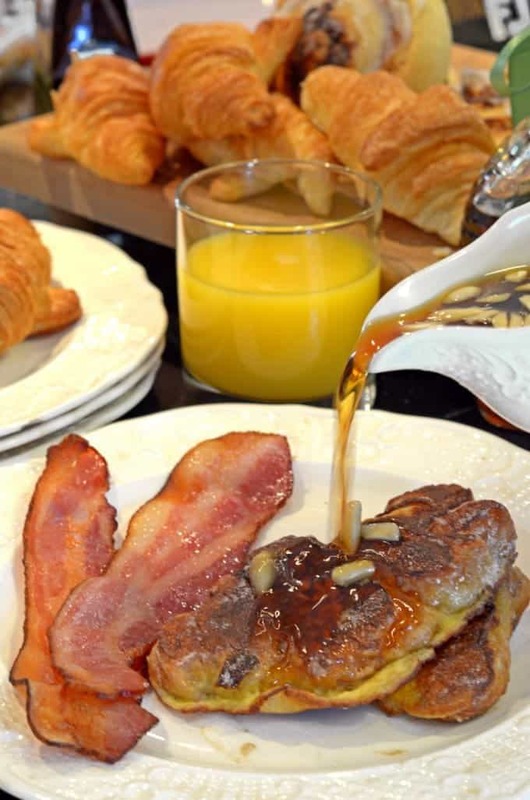 How do you take a classic like french toast and give it a new lease on life? Well for starters, why not switch out that boring white bread and substitute it with fresh, flaky croissants? Then to really change it up, roast some almonds and make almond maple syrup. Now that I have your full attention allow me to introduce to you the makings of one fine weekend breakfast, Almond Croissant French Toast. I have to be honest, french toast is not that popular in my household. I have made it many times in the past, but the kids would much rather have pancakes, which Dan is famous for. So, I have almost all but given up on preparing them. That was until one day while flipping through the channels on TV one afternoon I saw a television chef making french toast with croissants and using almond flavorings. I took this as inspiration and set off to try my own version of Almond Croissant French Toast. While we were at our cottage in the middle of Nowhere Wisconsin, over the long holiday weekend, I played around with the idea of this recipe. I decided that I would try different things. Instead of using milk, I would use the heavy whipping cream that we had left over from Christmas. Also, a good friend of ours gave us a wonderful bottle of maple syrup as a gift. I knew that was going to be included. By thinking outside of the loaf, average french toast was elevated to Almond Croissant French Toast. 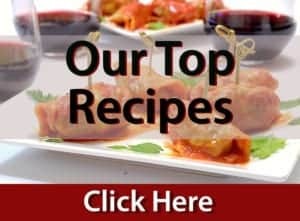 See More Brunch Recipes Here! In a mixing bowl add eggs and heavy whipping cream and whisk until mixture is well incorporated. Stir in almond extract, sugar, salt and set aside. In a pan over low heat, add silvered almonds and allow to toast for a minute or 2. 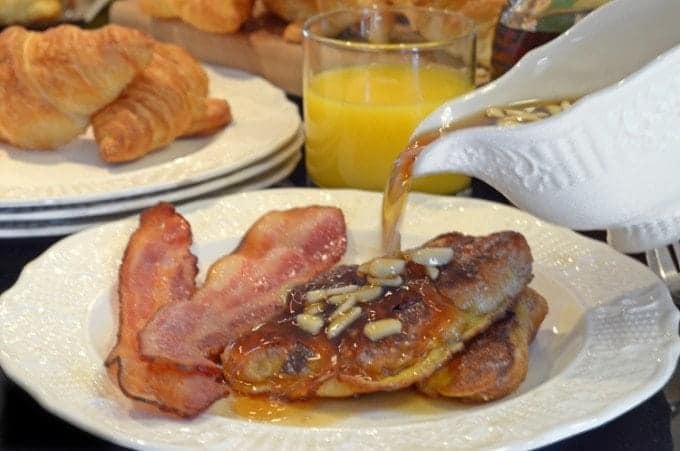 Pour maple syrup into pan with almonds and warm. In a heavy skillet melt a few pats of butter. 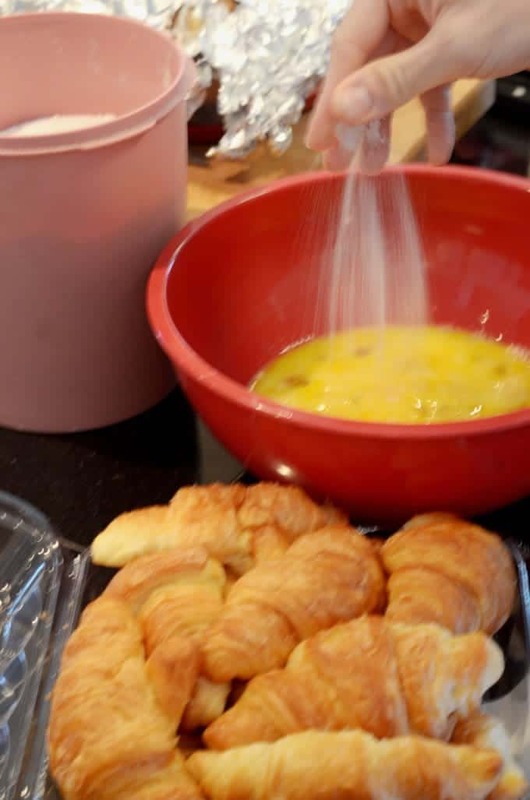 Place croissants in egg mixture and allow to soak up some of the mixture. 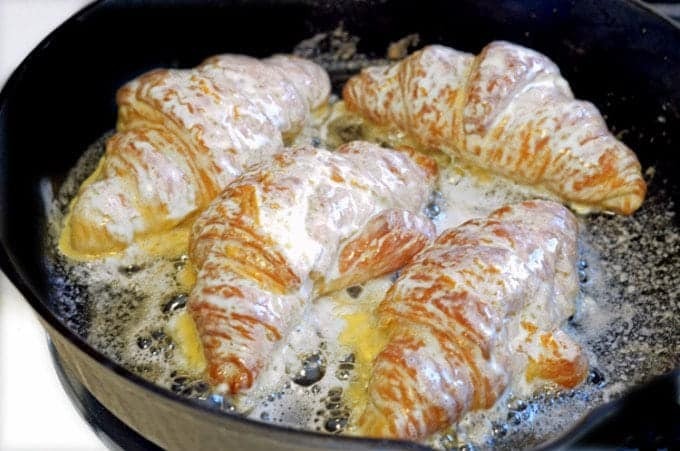 Lift each croissant from the mixture and allow excess to "drain" from the croissant and place in the heating skillet. Cook on one side until golden brown and turn over. Cook the second side until golden brown. Love that you use croissant for the french toast. I usually use Brioche but this sounds so good. Can’t wait to try. 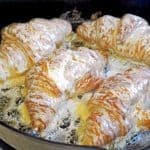 I love the idea of substituting white bread with a flaky croissant! I can imagine how great it tastes! What a fantastic way to use leftover croissants- Genius! I love sweet breakfast foods. I can’t wait to try this. This looks perfect for our Sunday brunch. Looks amazing! Our whole family will go crazy over this! Oooooo! 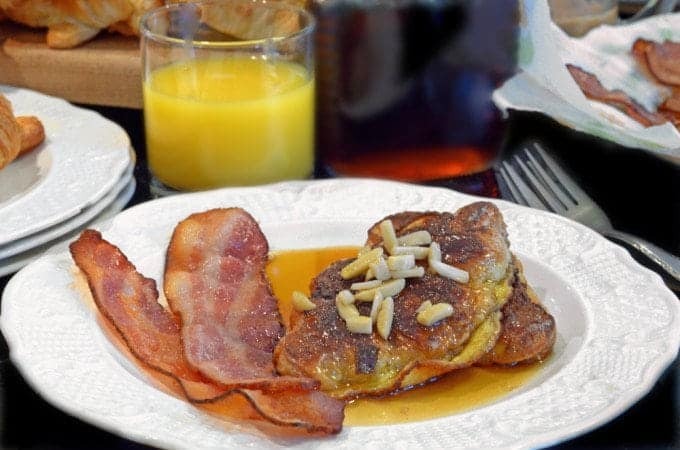 What a great twist on french toast! I love the addition of the sliced almonds – I bet this has wonderful flavor! this really sounds fabulous and I would love this with a croissant! 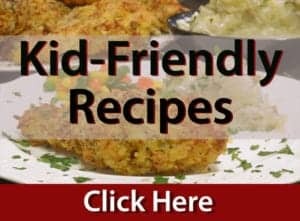 my kids love french toast this must be buttery all by itself great idea!